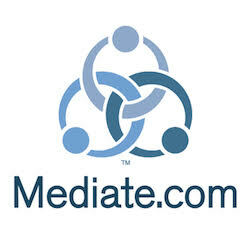 For information on becoming a Kansas court certified mediator. At certain places on this Heartland Mediators Association Internet site, live 'links' to other Internet addresses can be accessed. Such external Internet addresses contain information created, published, maintained, or otherwise posted by institutions or organizations independent of Heartland Mediators Association. Heartland Mediators Association does not endorse, approve, certify, or control these external Internet addresses and does not guarantee or assume responsibility for the accuracy, completeness, efficacy, timeliness, or correct sequencing of information located at such addresses. Use of any information obtained from such addresses is voluntary, and reliance on it should only be undertaken after an independent review of its accuracy, completeness, efficacy, and timeliness. Reference therein to any specific commercial product, process, or service by trade name, trademark, service mark, manufacturer, or otherwise does not constitute or imply endorsement, recommendation, or favoring by Heartland Mediators Association.